ECZEMA RELIEF - for Young and Old. Heard about Organic Shea Butter that even baby's doctors prescribe to those gentle ... call us and we can discuss what other customers with eczema deal with this skin challenge. We are not medically trained to solve skin problems. However, we certainly are aware that Steroids are bad news to our body! Customers come to us to purchase natural products that they testified are helpful, and help to provide reliefs. We hope that the beds are not stained with bloods each morning your child wakes up ... and adults get a good night rest from the relief of natural therapy. Nature is created to help us, not against us. Man-made products, no matter how good, cannot measure to the Great Creator! Our customers, young and old, find Organic Shea Butter to be very moisturizing and provide relief. It is very well absorbed into the skin. After using Organic Shea Butter, and when you 'stratch less', there will be no further bleedings. At such, Sea Salt soaking will provide further relief. 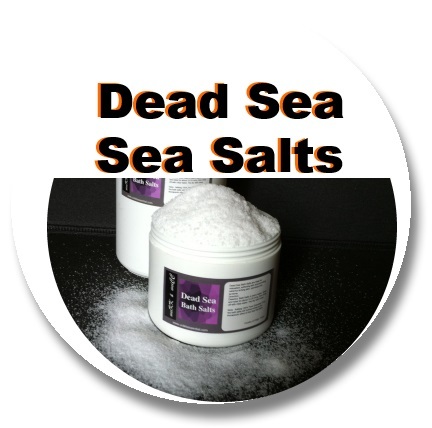 Dead Sea Black Mud provides cleansing and purifying effects to the skin, providing further relief to the skin. According to our Israeli suppliers, Sulfur soaps are the best soap for Eczema. Some prefers Black Mud Soap. Whatever your skin conditions find suitable, just use it! 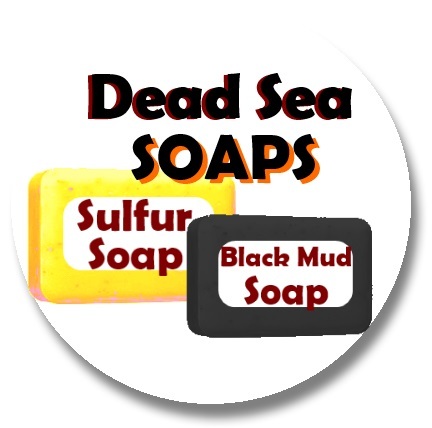 We also have Dead Sea Sea Salt Soap.